An appendectomy is the surgical removal of the appendix from the abdomen. 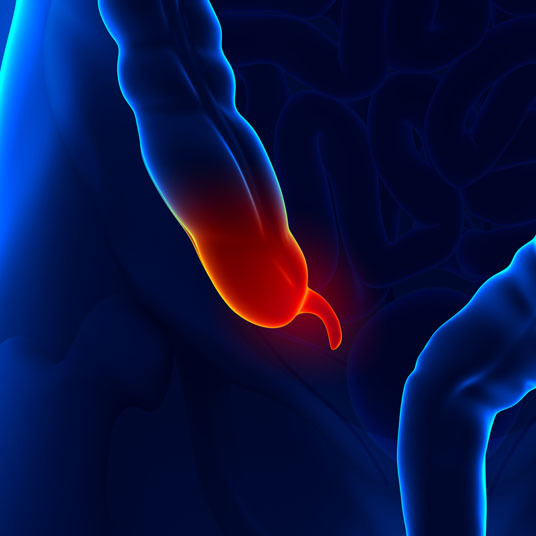 An appendectomy becomes necessary if the appendix, located on the large intestine, becomes inflamed or ruptures. This condition is known as appendicitis and it usually causes extreme pain and discomfort for the patient. There are no non-surgical alternatives to an appendectomy. However, a laparoscopic appendectomy may be considered as a surgical alternative, and is minimally invasive when compared to an open surgery technique. An appendectomy is performed under general anesthesia, which means that patients are completely asleep and unaware during the procedure. Possible complications of the procedure can include infection, bleeding, blot clots, hernia and injury to nearby organs. An adverse reaction to the general anesthesia that is used is also possible. 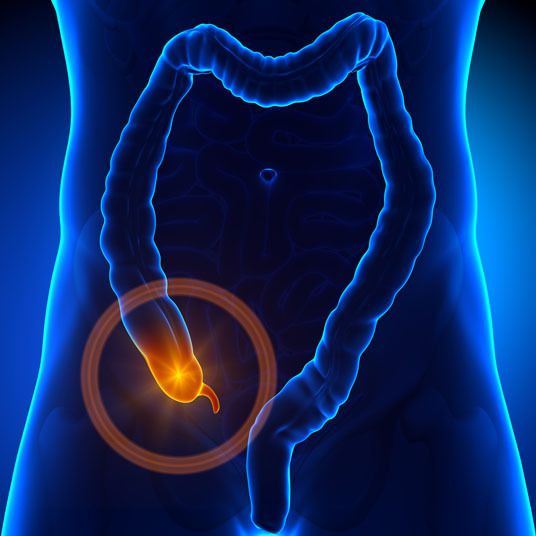 The prognosis for a positive end result for patients undergoing an appendectomy is good. Most patients stay in the hospital for one to four days after the procedure, and a recovery period of one to three weeks follows for the patient at home. Recovery periods for patients undergoing the procedure using the minimally invasive technique usually experience a faster recovery time than those who undergo a procedure with the open technique.